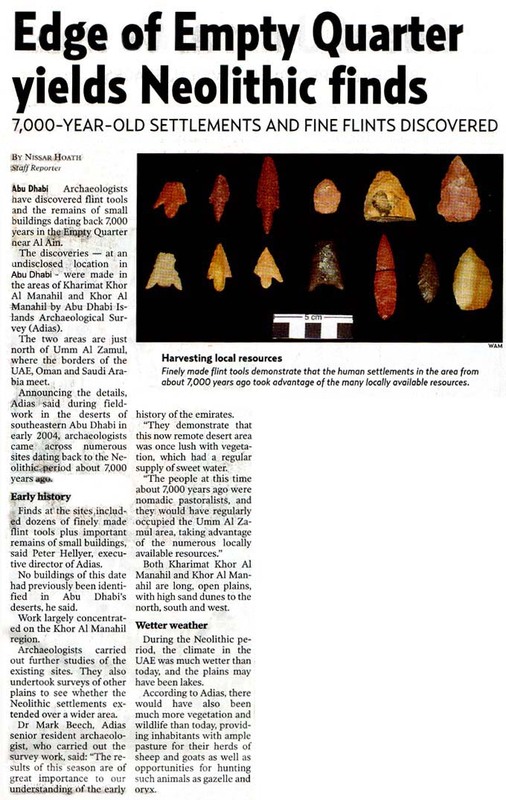 A major new scientific study of Jebel Hafit, Abu Dhabi's only mountain, is released today. The 220 page book, which is lavishly illustrated with colour photographs, is entitled: "Jebel Hafit – a Natural History" and provides a detailed introduction to the geology, archaeology and natural history of the mountain, just south of Al Ain. 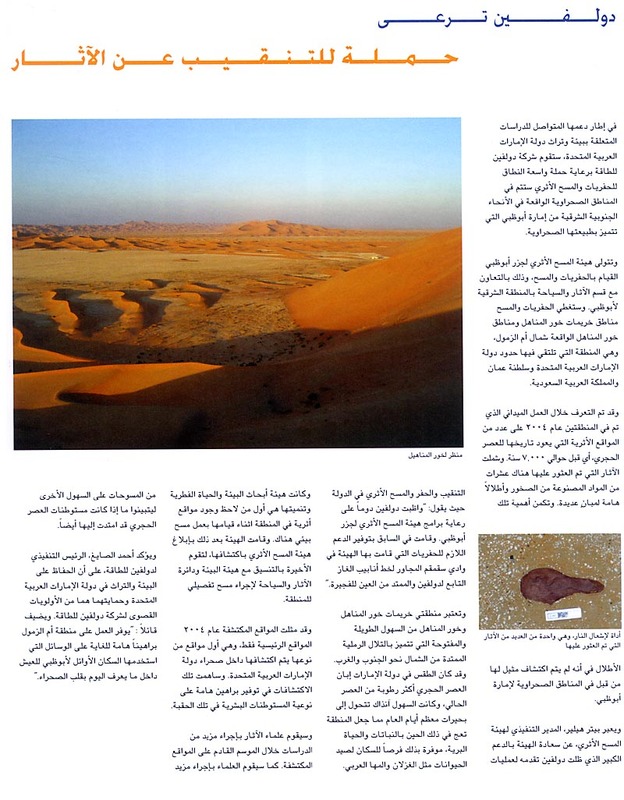 The chapter on archaeology, by ADIAS Associate Dr. Robert Carter and Dr. Walid Yasin al-Tikriti, of the Department of Antiquities and Tourism in Abu Dhabi's Eastern Region, is the first extensive overview of the archaeology of the mountain to have been published for many years. Published by the Emirates Natural History Group, ENHG, with support from the Abu Dhabi Company for Onshore Oil Operations, ADCO, the book is edited by Simon Aspinall and Peter Hellyer, two leading experts on the country's environment and heritage. It contains ten separate chapters, along with a lengthy introduction detailing the history of scientific research on Jebel Hafit over the last fifty years or so, a Preface by Sheikh Sultan bin Tahnoun Al Nahyan, Under-Secretary of the Diwan of the Ruler's Representative in the Eastern Region, and a Foreword by the former ADCO General Manager, Mr. Andre van Strijp. 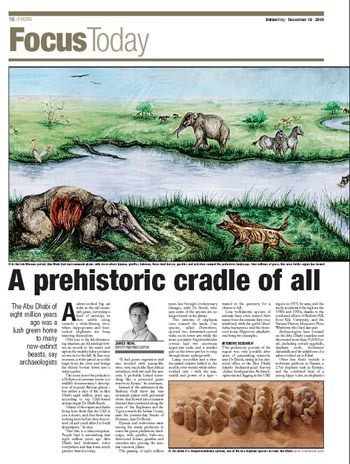 Contributors include top experts on the country's geology, archaeology, birds, mammals, insects, plants and other topics. 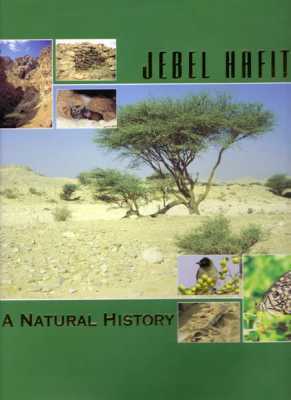 The book shows that Jebel Hafit, which rises to just over 1000 metres above sea level, is one of the most important places in the United Arab Emirates in terms of the diversity of its plants and wildlife, as well as being a key site in terms of the country's archaeological heritage. It is currently being evaluated by the Environmental Research and Wildlife Development Agency, ERWDA, for nomination as a nature reserve or protected area, and the scientific data contained in the book will help to support arguments for its protection. In his Preface, Sheikh Sultan bin Tahnoun wrote that: "The mountain of Jebel Hafit looms large over Al Ain, and is an ever-present reminder of the forces of nature and of our own relative insignificance in the grand scheme of things... I am delighted to see this impressive publication on its natural history." 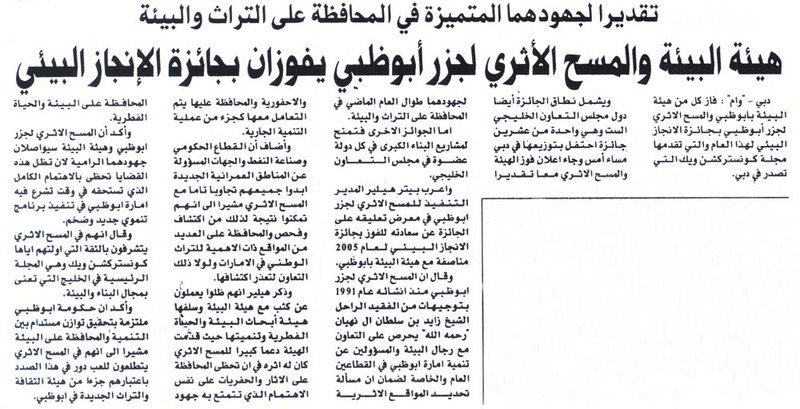 "The Abu Dhabi Company for Onshore Oil Operations, ADCO, which supported its publication, and the long-running efforts of the Emirates Natural History Group, ENHG, deserve our special appreciation," he said. 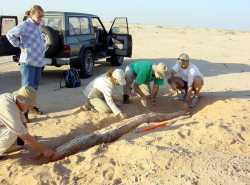 In his Foreword, the former ADCO General Manager noted: "Only a few of us realise the richness of the UAE's biological and historical diversity ... This book makes a major contribution to our knowledge of the country." 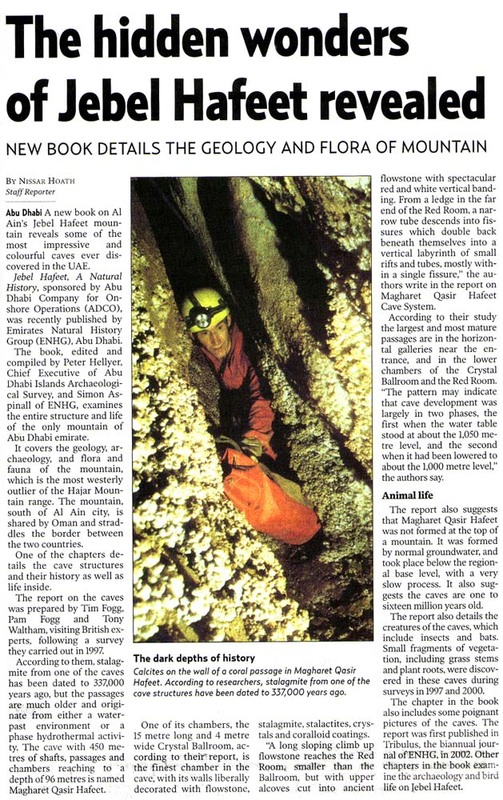 He noted that the new publication grew out of support provided several years ago to the ENHG for a study of Jebel Hafit. The initial report was produced in 1998, but work has continued over the last six years, with much new information being gathered. "We are proud that ADCO has been able to make another contribution towards the growing wealth of literature concerning the environment of the UAE," Van Strijp said. 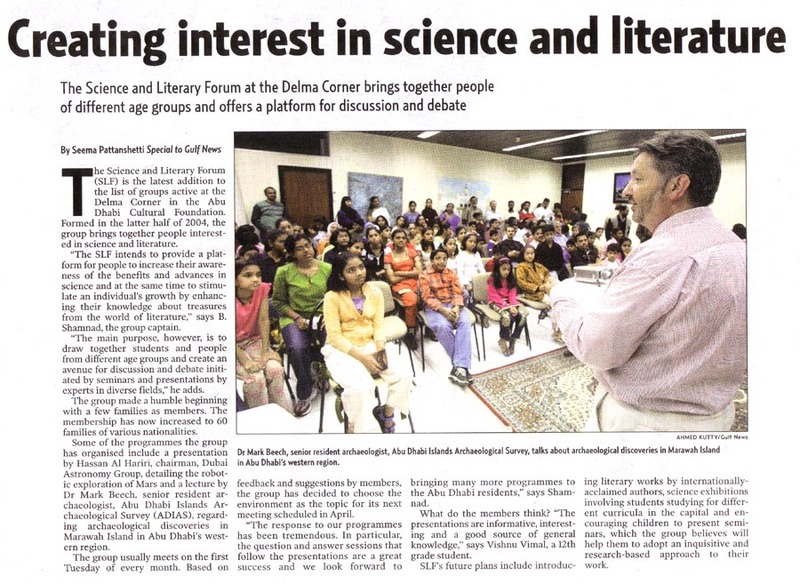 The book's lead editor, Simon Aspinall, said that the Emirates Natural History Group was extremely grateful to ADCO for its support. "The Group has received support over many years from ADCO, which has always shown itself to be a Company which takes its responsibilities for protecting the country's environment and heritage very seriously," he said. "Thanks to ADCO, we have now been able to produce the first exhaustive study of one of the country's landmarks. No other single place in the UAE has been given such detailed attention. We look forward to further collaboration with ADCO in the years ahead." 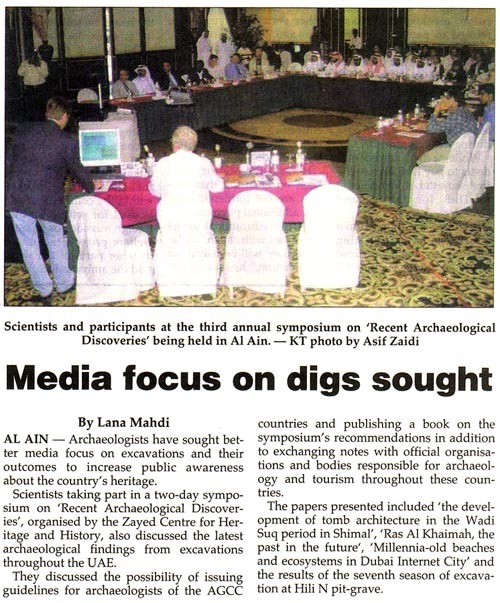 A press conference was held in the Intercontinental Hotel in Abu Dhabi from 8 to 9.30 p.m., organised by the Emirates Heritage Club. 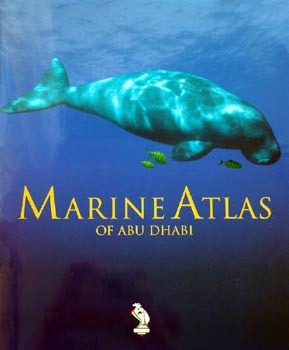 This was to launch the new "Marine Atlas of Abu Dhabi", which features three chapters authored or co-authored by ADIAS staff: "Important Marine Areas for Birds in Abu Dhabi Emirate" by Simon Aspinall, Ron Loughland, A.H. Al Ali and S.A. Wrdyani; "The Fish Fauna of Abu Dhabi Emirate" by Dr Mark Beech, and "The Archaeology of Abu Dhabi Coastal Zone" by Peter Hellyer. ABU DHABI, 14th October 2005 (WAM)-- President HH Sheikh Khalifa bin Zayed Al Nahyan, acting in his capacity as Ruler of Abu Dhabi, has issued a law to establish the Abu Dhabi Culture and Heritage Authority. The new Authority will be financially and administratively autonomous and will have its headquarters in the city of Abu Dhabi, although its Board of Directors shall have the power to establish branches and offices anywhere in the United Arab Emirates. According to the terms of the Law, the Authority: "will oversee intellectual and artistic activities in the Emirate of Abu Dhabi and will also be responsible for maintaining, protecting, managing and promoting the cultural heritage of the Emirate through the following means: - the evolving of cultural policies, plans and programmes and ensuring that such policies are implemented. 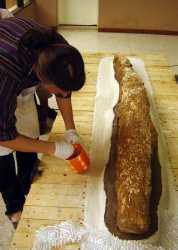 - recommending laws and regulations to protect, promote and preserve cultural heritage. - recording national history through the collection of documents, the registering of the heritage of the emirate and through the publication of works in this field. The law states that the Authority will be governed by a Board of Directors, consisting of a Chairman, a Deputy Chairman and seven or more other members, whose powers will be specified in a decision to be taken by the Abu Dhabi Executive Council. Members shall serve a five year term, which can be renewed. The Board will be the body responsible for determining the general policies and plans of the Authority. The Authority shall obtain its financial resources from annual alllocations made by Government in addition to fees for any services provided by the Authority. The Authority's funds shall be considered public monies. 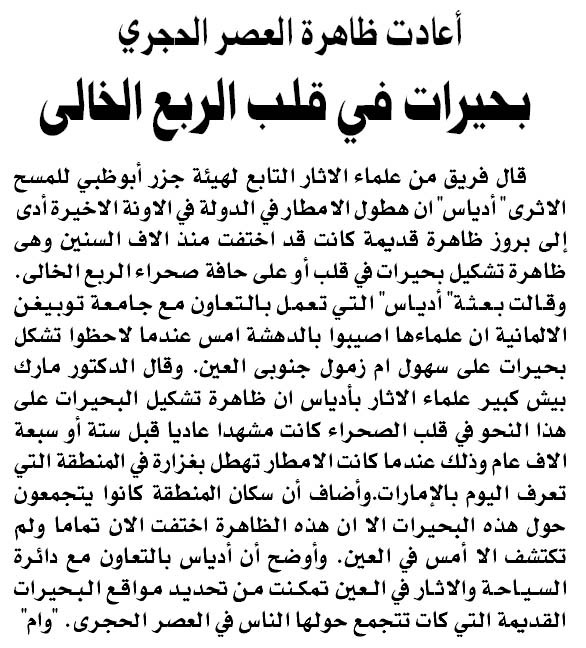 The law also states that employees of the Cultural Foundation in Abu Dhabi, established under the terms of Decree No.7 for 1981, and the employees of the Department of Antiquities and Tourism in Al Ain, which is affiliated to the Diwan of the Ruler's Representative in the Eastern Region, shall be transferred to the new Authority. 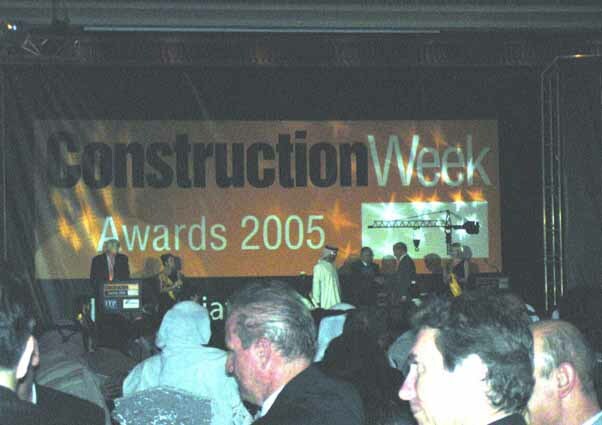 Peter Hellyer from ADIAS and Dr Jaber Al Jaberi from the Environment Agency - Abu Dhabi receive the Environmental Achievement of the Year Award 2005. 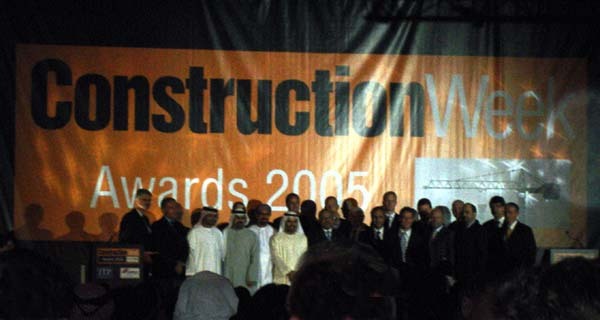 A delegation from ADIAS and EAD attended the annual "Construction Week" Awards. The event was held at the Fairmont Hotel in Dubai. 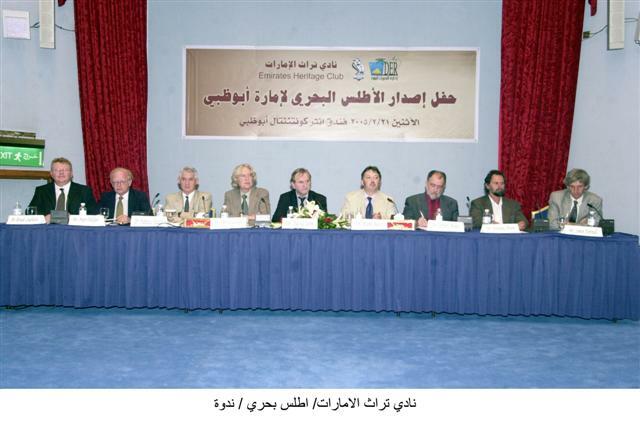 Peter Hellyer (Executive Director), Dr Mark Beech (Senior Resident Archaeologist) and Simon Aspinall (Director, Environmental Studies Unit) from the Abu Dhabi Islands Archaeological Survey, ADAS, attended, together with Dr Jaber Al Jaberi (Director of Environmental Protection Division, EPD) and Abdul Nasser Ali Al Shamsi (Director of Terrestrial Environment Research Centre, TERC) from the Environment Agency - Abu Dhabi. ADIAS and EAD were selected as joint winners of the Environmental Achievement of the Year Award. For more details, see above. 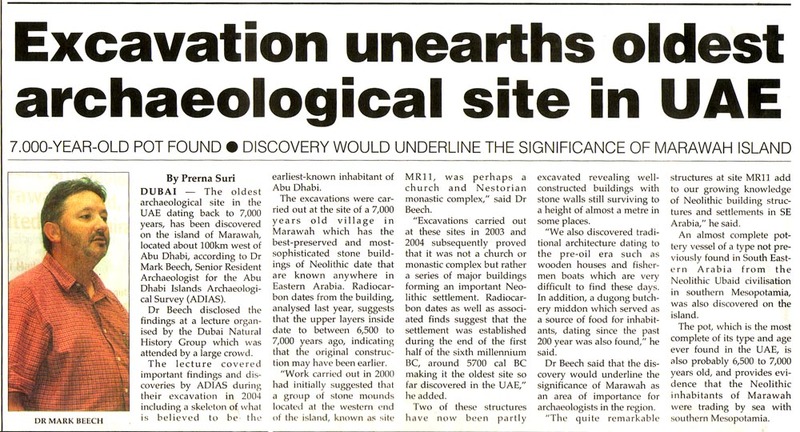 The Abu Dhabi Islands Archaeological Survey, ADIAS, has been selected as joint winner, with the Environment Agency - Abu Dhabi, EAD, of the Environmental Achievement of the Year Award presented by the Gulf's leading construction industry journal, "Construction Week." The Award was presented at a ceremony at the Fairmont Hotel, Dubai, on 17th November 2005, and covers the six member states of the Gulf Co-Operation Council, GCC, the United Arab Emirates, Oman, Qatar, Bahrain, Kuwait and Saudi Arabia. The ADIAS Executive Director, Peter Hellyer, issued the following statement on receiving the Award. "ADIAS is delighted to have been selected as joint winner of the Environmental Achievement of the Year Award for 2005, and to share this with the Environment Agency - Abu Dhabi, EAD, with whom we work very closely. 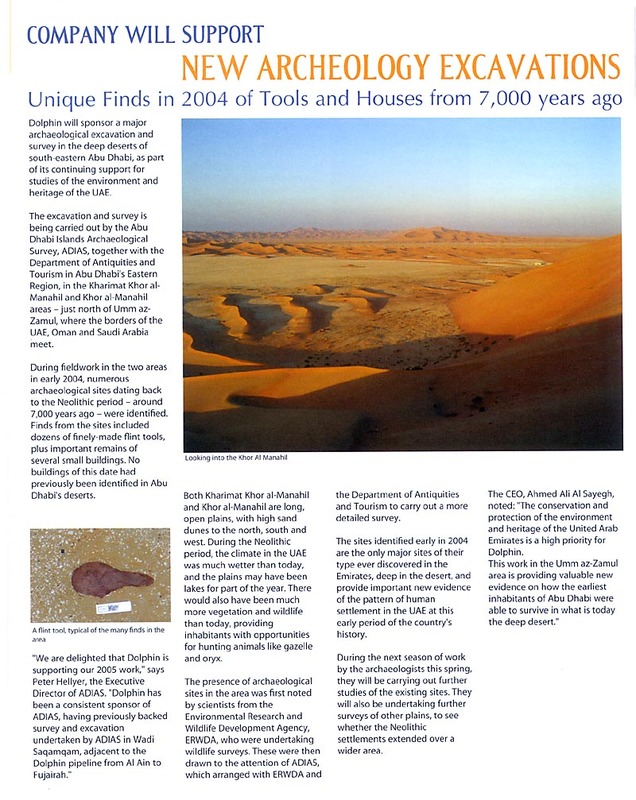 "Since it was established on the instructions of former UAE President Sheikh Zayed bin Sultan Al Nahyan in 1991, ADIAS has sought to work with industry and developers in the Emirate of Abu Dhabi, both government departments and the private sector, to ensure that the identification and preservation of archaeological and fossil sites is accepted as being part of the normal process of development. The Government sector, the oil industry and Abu Dhabi's new property developers have all responded extremely well to our approaches. 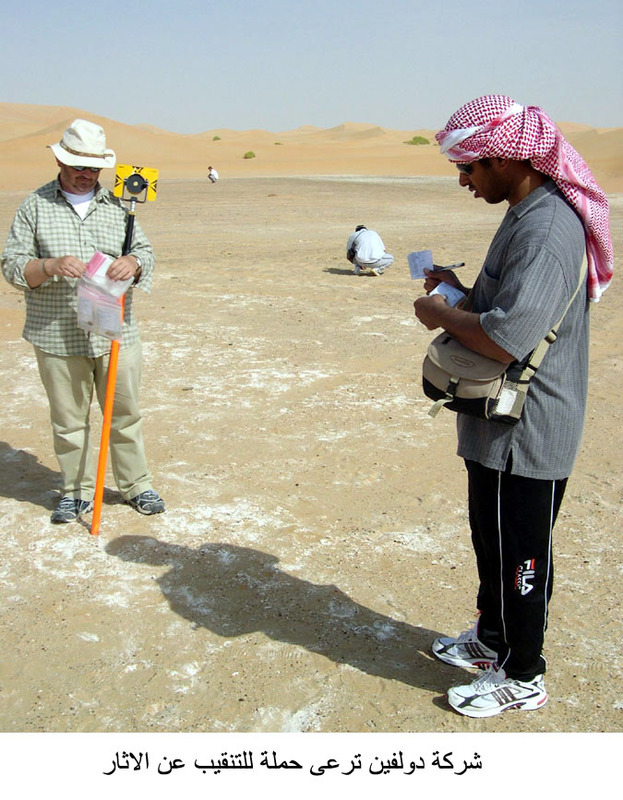 As a result, ADIAS has been able to discover, and to examine and preserve, many sites of importance to the UAE's national heritage that would not otherwise have been recognised. "In this process, we have worked very closely with EAD, and its predecessor, the Environmental Research and Wildlife Development Agency, ERWDA. The Agency has provided ADIAS with enormous support, ensuring that conservation of archaeology and fossils is given equal importance to the conservation of the environment and wildlife. 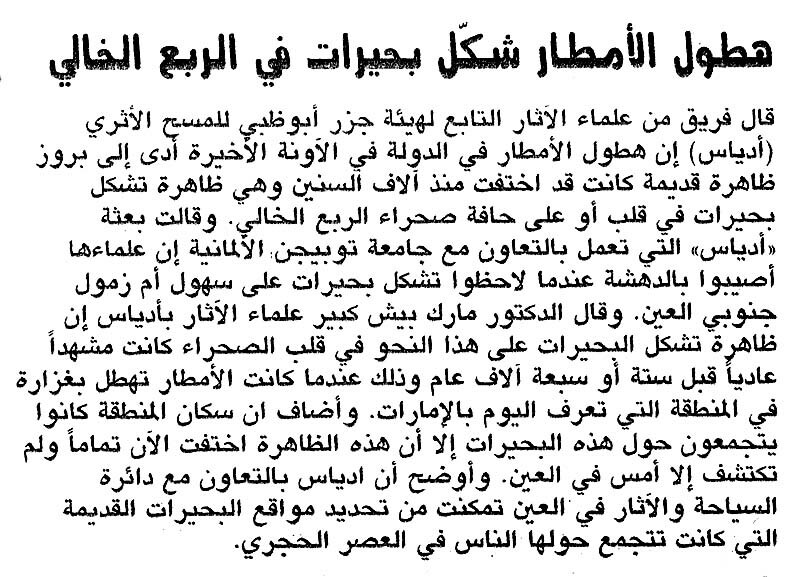 Together, ADIAS and EAD will continue to ensure that these issues are given the full importance that they deserve as Abu Dhabi embarks on its major new programme of development. 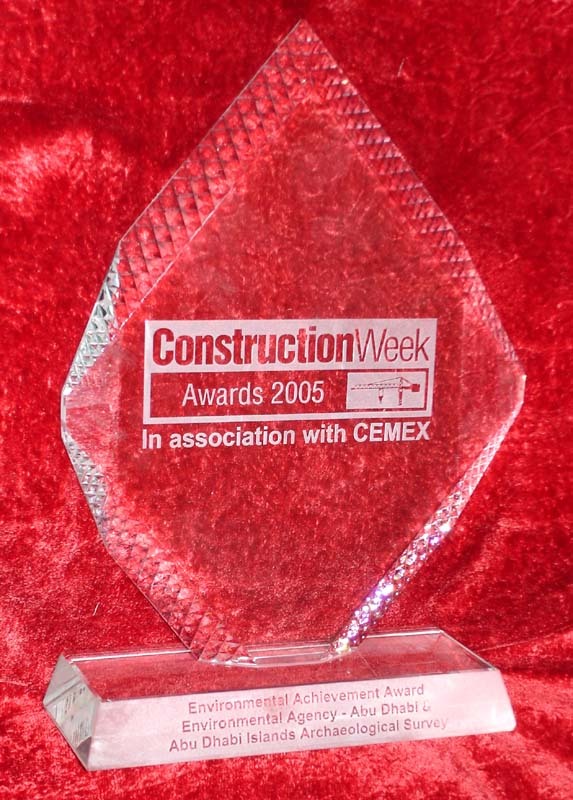 "We are honoured to have been recognised by "Construction Week", the key Gulf journal for an industry with which we are keen to continue to collaborate closely in the future. 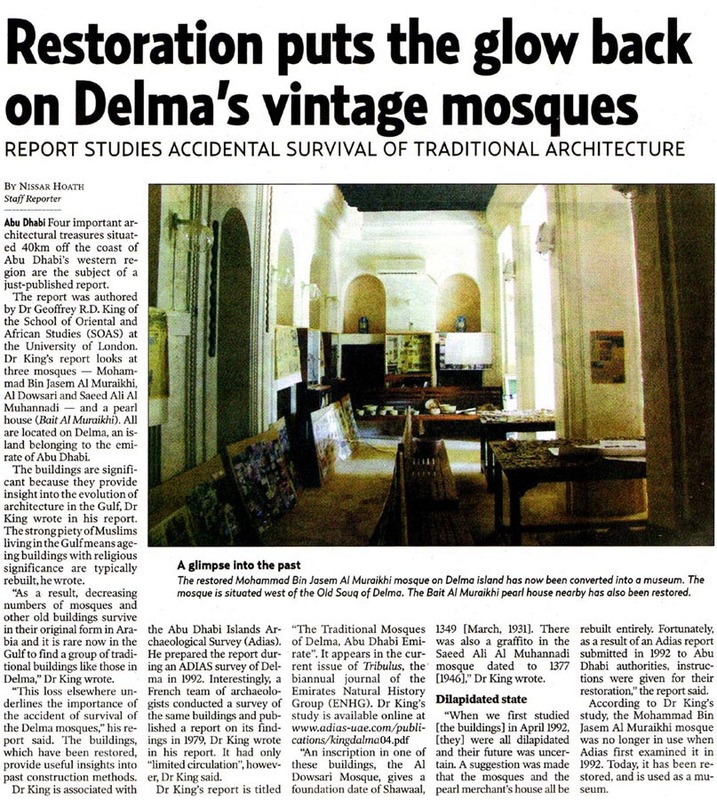 The Government of Abu Dhabi is committed to achieving a sustainable balance between development and conservation, and we in ADIAS look forward to continuing to play our part in this process, as part of the new Abu Dhabi Culture and Heritage Agency." 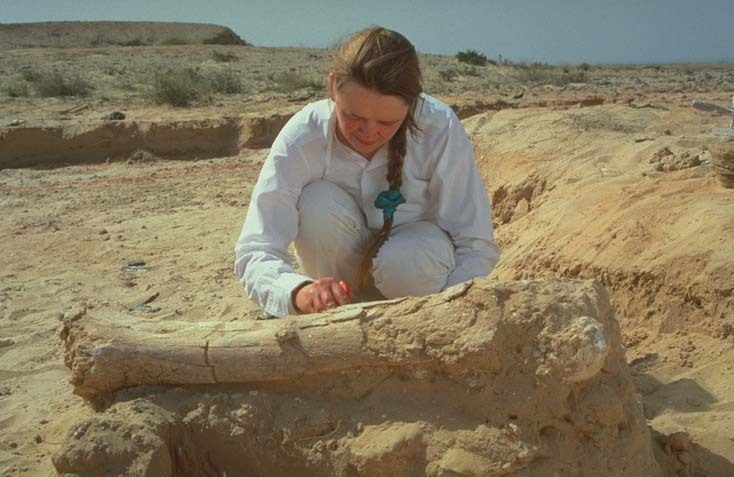 Over the last fifteen years, research in Abu Dhabi's Western Region on ancient fossils from the Late Miocene period, around eight million years ago, has shown that Abu Dhabi was once a land of fertile plains and large rivers, a bit like today's East Africa, with numerous large animals, including ancestors of today's elephants, giraffes, crocodiles, gazelles, horses, ostriches, turtles and other species. 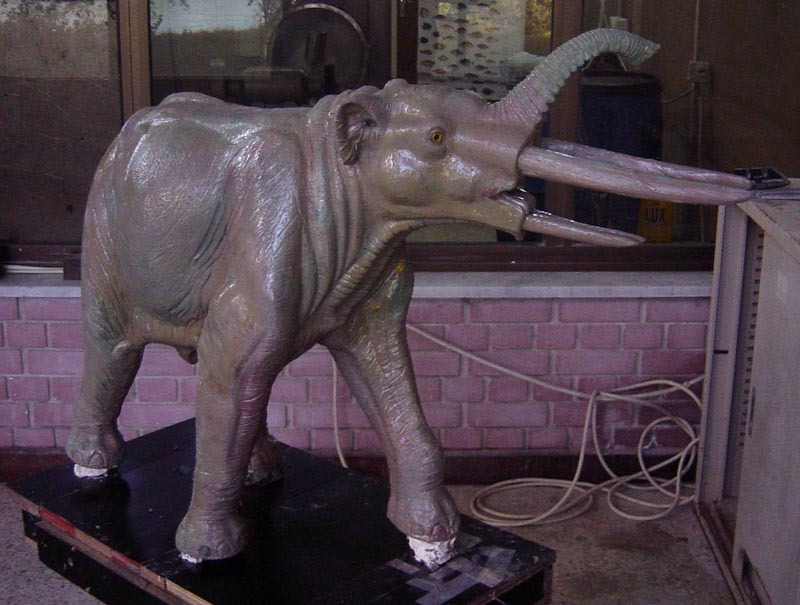 Work by London's Natural History Museum, Yale University in the United States and the Abu Dhabi Islands Archaeological Survey (ADIAS) has recovered some remarkable fossil bones - including tusks and skulls of elephants, skulls of crocodiles and gazelles, horse and hippopotamus teeth, and much more. Now, for the first time, some of the most important specimens are on display in Abu Dhabi, at the headquarters of the Environment Agency - Abu Dhabi, EAD. Among the items on display are a fossil elephant tusk, nearly 2.5 metres long, discovered by ADIAS near Ruwais in 2002, and the near-complete skull, jaws and leg bone of an elephant uncovered, by a team from London's Natural History Museum, at Shuweihat in the early 1990s. 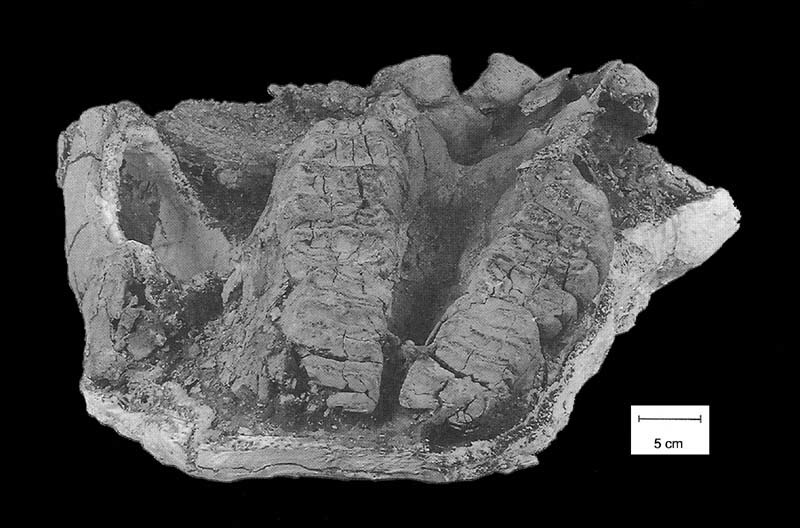 These bones all belong to the primitive elephant species, Stegotetrabelodon syrticus. 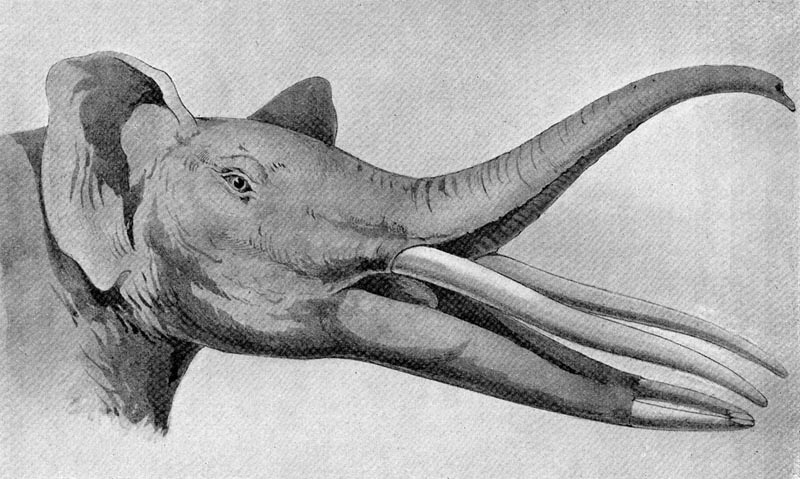 This extraordinary animal was larger than modern day elephants and differed from its modern day relatives by having four tusks, two upper long tusks and two shorter parallel lower tusks. The display features a ca. 20% size scale model of Stegotetrabelodon syrticus. 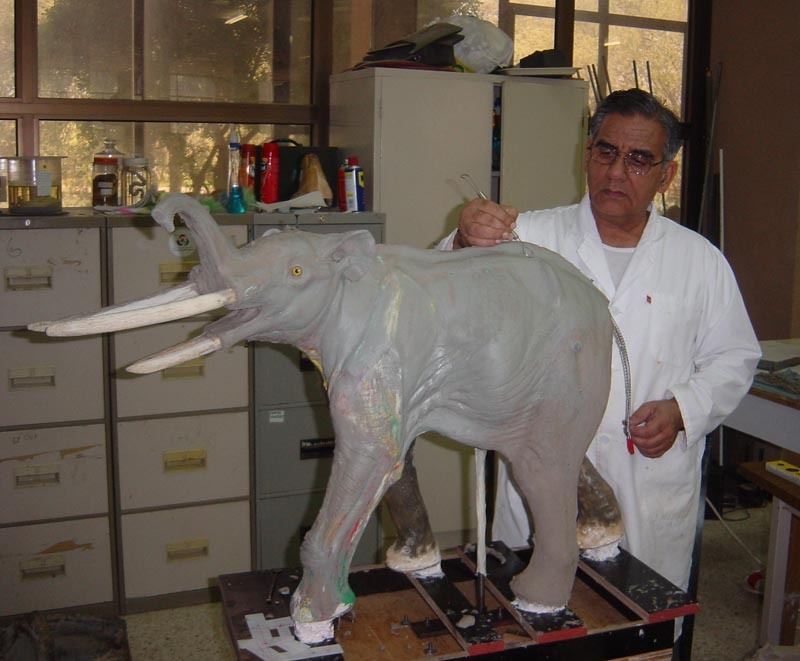 Work on the design and production of this model took over one year to complete. The master model was produced by staff of the Taxidermy Unit of the Private Department of HH the President. 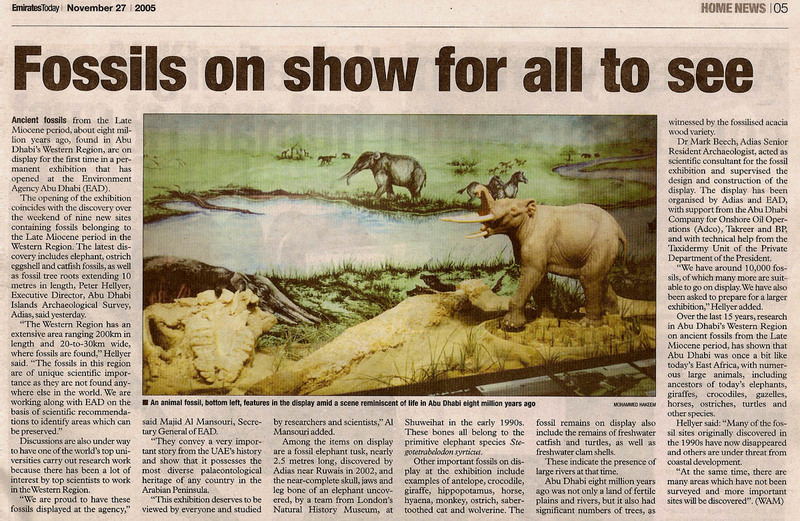 Other important fossils on display in the exhibition include examples of antelope, crocodile, giraffe, hippopotamus, horse, hyaena, monkey, ostrich, saber-toothed cat and wolverine. The fossil remains on display also include the remains of freshwater catfish and turtles, as well as freshwater clam shells. These indicate the presence of large rivers at that time. 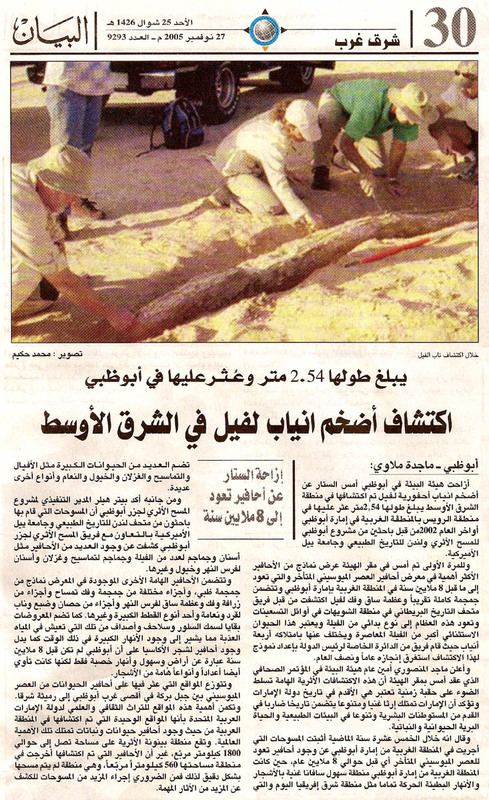 Abu Dhabi 8 million years ago was not only a land of fertile plains and rivers but also had significant numbers of trees, as witnessed by fossil acacia wood. The backdrop of the fossil exhibition is a large painting of the environment of Abu Dhabi 8 million years ago. This was produced by a UK-based artist, Gemma Goodall, together with the assistance of her partner, Nigel Larkin. The painting shows how the landscape and animals living within it were quite different to those present today. You are transported back in time to 8 million years ago. It is hard to imagine that the present day desert environment of Abu Dhabi was once such a lush landscape teeming with animals and vegetation. A book and DVD are also available accompanying the fossil exhibition. 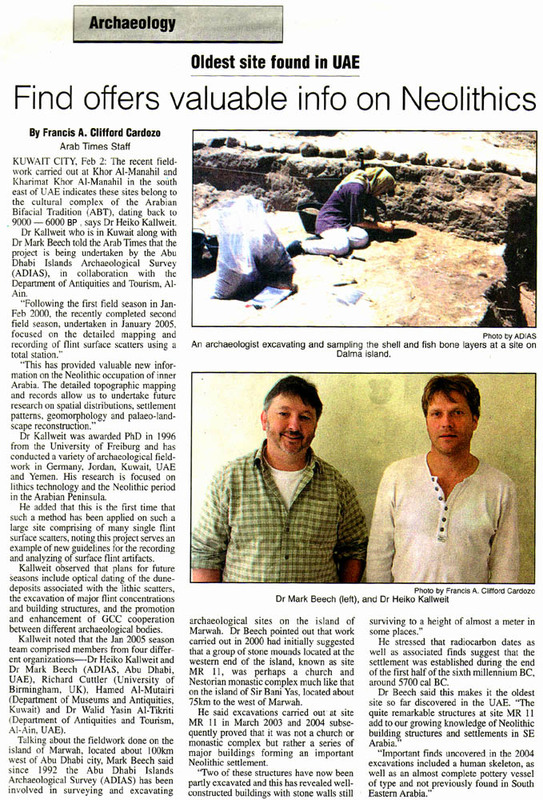 The book entitled "Abu Dhabi 8 Million Years Ago - Late Miocene Fossils from the Western Region" is edited by Dr Mark Beech and Peter Hellyer of ADIAS. 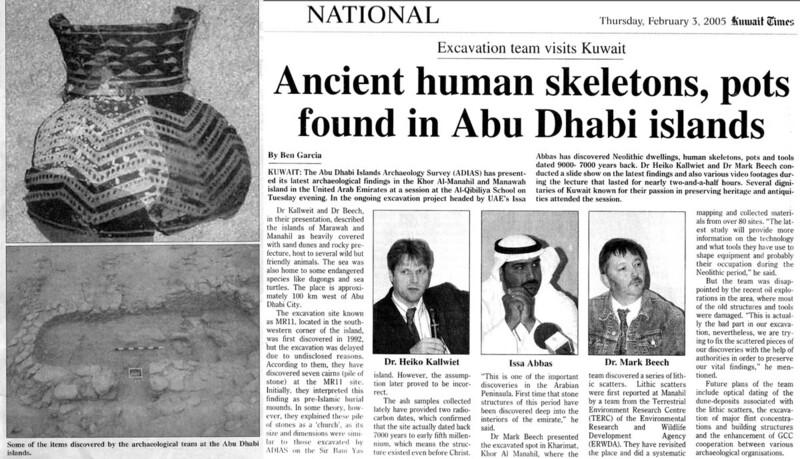 The DVD features three films: a presentation about the recent fossil work carried out by ADIAS at Ruwais and Mleisa, as well as a short film called "Hot Fossils from Abu Dhabi" and a longer film called "Abu Dhabi - the Missing Link" about the earlier work on fossils carried out by the Natural History Museum, UK, and Yale University teams. Visitors to the fossil exhibition can watch all these films on the integrated display unit. 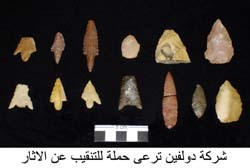 Sites with Miocene fossil faunas are distributed from Jebel Barakah in the far west of Abu Dhabi to Rumaitha in the east. The importance of these sites to the cultural and scientific heritage of the UAE lies in the fact that that they are the only locations in Arabia where the remains of fossil animals and plants have been recovered that are of international significance. The Baynunah Formation crops out in an area of about 1800 sq km, the fossils identified so far only come from a 560 sq km area, and that has not yet been surveyed in detail. More work therefore still needs to be done. 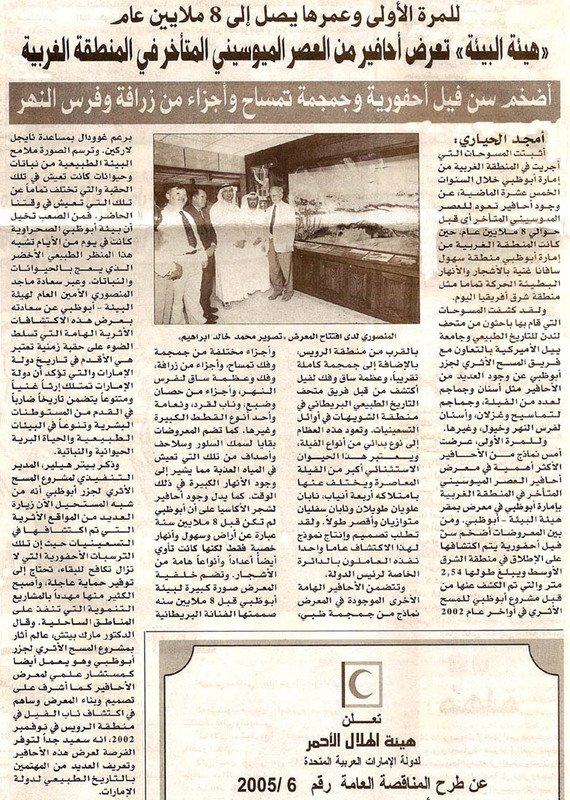 Mr. Majid Al Mansouri, Secretary General of EAD, said "We are proud to have these fossils displayed at the Agency. 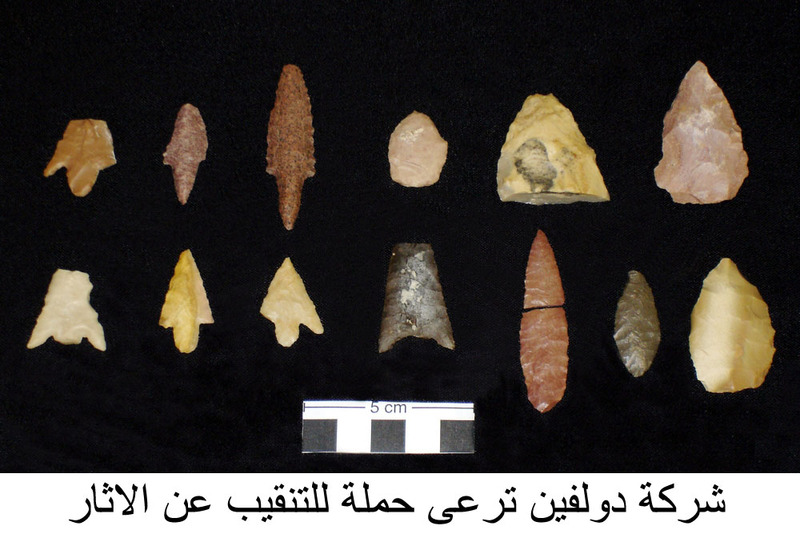 They convey a very important story from the UAE's history and show that it possesses the most diverse palaeontological heritage of any country in the Arabian Peninsula. This exhibition deserves to be viewed by everyone and studied by researchers and scientists." 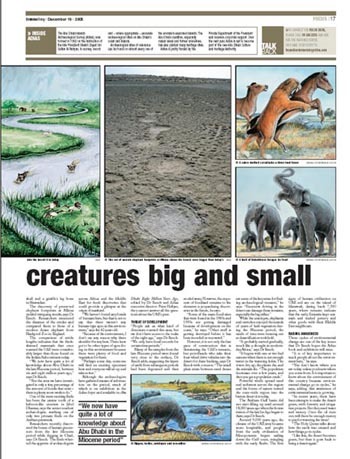 Peter Hellyer, ADIAS Executive Director, said: "Many of the fossil sites originally discovered in the 1990s have now disappeared and others are under threat from coastal development. At the same time, there are many areas which have not been surveyed and more important sites wait to be discovered. Together with the Environment Agency - Abu Dhabi, and in line with Abu Dhabi's existing environmental protection legislation, ADIAS continues to work for proper designation of and protection of the most important sites and the areas in which they lie. 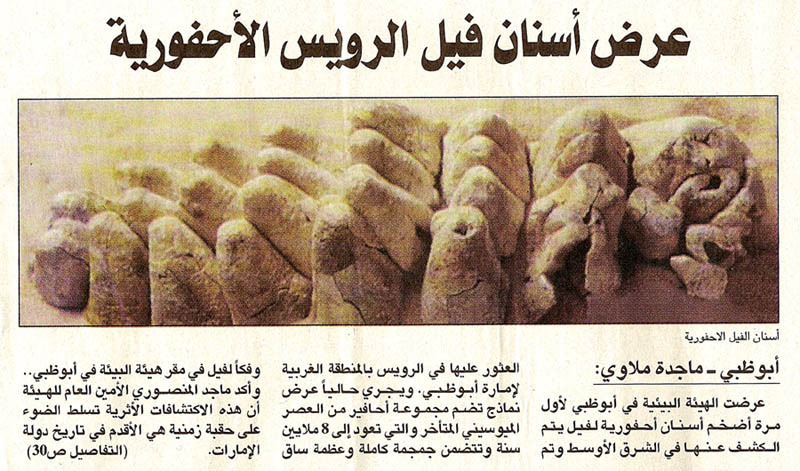 They should be preserved for the long- term cultural, educational and scientific benefit of the people of the UAE." "It is fantastic that we now have the opportunity to display and bring knowledge of these exciting fossil discoveries to a wider audience. We hope that this exhibition, along with the book and DVD, will introduce people of the UAE, in particular the younger generation, to this fascinating aspect of the country's past." The display has been organised by ADIAS and EAD, with support from the Abu Dhabi Company for Onshore Oil Operations (ADCO), Takreer and BP, and with technical help from the Taxidermy Unit of the Private Department of HH the President. The display will be officially opened on Saturday 26th November, at 10.45 am. Tel: (02) 4455807. Fax: (02) 4450458. Mobile: (050) 6424357. Click on the images below for higher resolution versions. I am delighted to be here today at the official launching of The Emirates  A Natural History. It is, I think, a rather remarkable achievement. No other country in Arabia has a book like this, which documents its geology, palaeontology and natural history, both in words and stunning pictures. This book has been part of my life for nearly four years, but it represents much more than that. 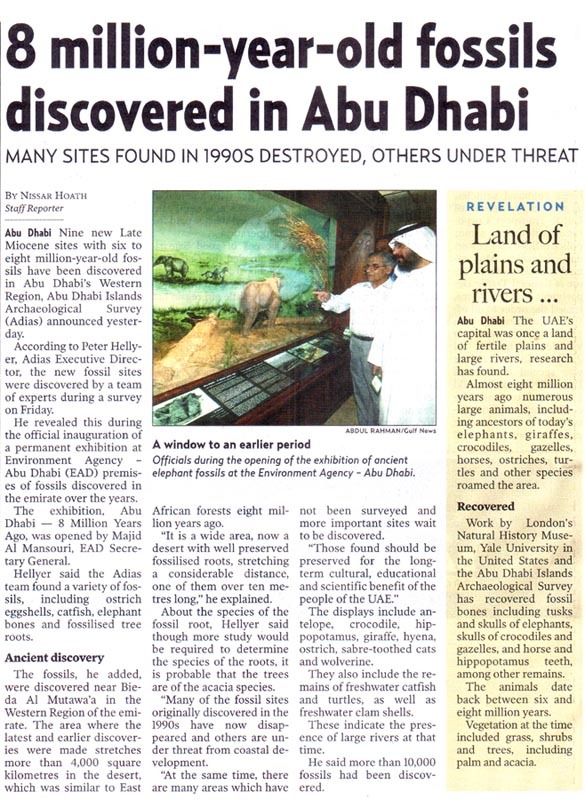 It draws on the work on researchers who have worked here over the last one hundred and fifty years  if you look at the lengthy bibliography and read the first chapter, you will see references to people who first made records of the UAE's wildlife as far back as the 1850s. it is very much a joint effort. 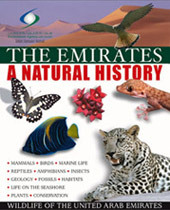 In putting this book together, I and my co-editor, Simon Aspinall, have not only researched the past history of the study of the UAE's natural history, but we have also drawn upon the expertise of the top experts in the field today. The chapter authors include the leading specialists in the natural history of the Emirates, and we are grateful to them not only for their contributions to the book, but also for the days, months and years that they have put into studying this country. The book could not have been produced without them. Nor could it have been produced without the skills of our publishers, Trident Press, and their talented team of artists, designers and photographers. The result is something of which we are all very proud. It is our hope that The Emirates  A Natural History will become the basis for future studies of the country's environment and wildlife. We have written it in such a way that it is scientifically accurate, but it is also understandable for the general reader. Our objective is that anyone with an interest in the country's environment will be able to read it and to learn from it, whether they are old or young, scientist or layman. In collaboration with the Environment Agency  Abu Dhabi (EAD), we intend in the future not only to produce editions in Arabic and other languages, but also to utilise the information in it to produce simple books and DVDs that can be used in schools  to spread the information as widely as possible. On behalf of my co-editor and my co-authors, and on behalf of Trident Press, would like to express my thanks to those who have made its publication possible. In particular, I would like to thank H.H Sheikh Hamdan bin Zayed Al Nahyan, Deputy Prime Minister, Minister of State for Foreign Affairs and the Chairman of EAD, for writing the Foreword, and H.E. Mohammed Al Bowardi, Secretary-General of the Abu Dhabi Executive Council and Managing Director of EAD, for writing the Introduction and for his other contributions. One of the objectives of EAD is to promote a wider understanding of the significance of the country's environment and wildlife. That is an objective that is shared by all of us who have contributed to the book. As part of this, EAD has supported the work on this book from the very beginning. I would like to thank Majid Al Mansouri, Secretary General of EAD, for his support, and for his many contributions, including the support provided by the Agency for the cost of publishing the book. He has also been instrumental in raising support from other sponsors, including the Mubadala Development Company, First Gulf Bank, Dolphin Energy, Aldar, Total and Shell. We are grateful to them all. Finally, we, the editors and authors, the publishers and, of course, EAD, hope that the book will not simply be used to decorate bookshelves and coffeetables. This country has remarkable and fascinating scenery and an impressively diverse array of wildlife, both onshore and in its offshore waters. The book provides only an introduction  and we hope that it will stimulate many more people to get out and about throughout the country to look at the UAE's natural history. There is enough here to fascinate anyone with a sense of curiosity or a love of beauty for a whole lifetime.